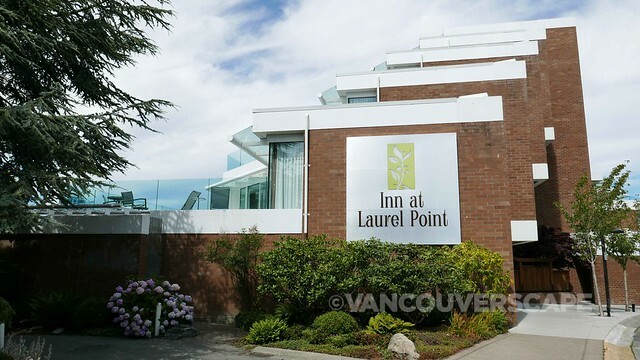 With an imposing location at the tip of Victoria’s Inner Harbour, the Inn at Laurel Point offers gorgeous water views from many angles, from its 200 rooms divided between two wings to cozy terraced AURA Restaurant. 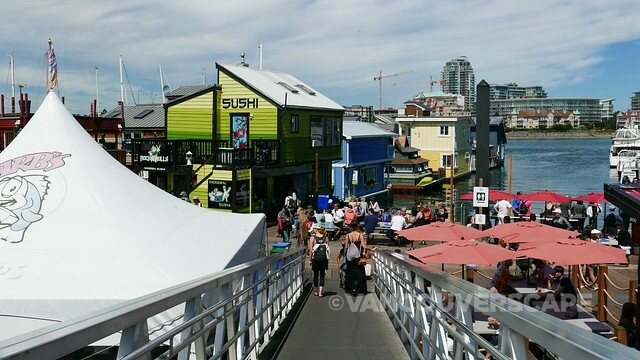 Once I’ve checked in, I take the David Foster walkway starting at Laurel Point Park and make my way to busy Fishermen’s Wharf, where tourists (many off the boat from Seattle) are enjoying Barb’s Fish & Chips, Rockn’ Rolls sushi, Jackson’s Ice Cream or just strolling through the shops along the tiny pier. The hotel also has a beautiful manicured Japanese garden with pond, waterfall and small statutes right alongside the walkway. 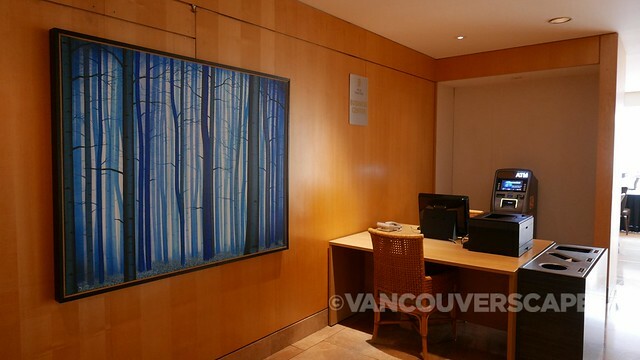 There’s artwork on the lobby walls supporting Canadian artists through the Artist in Residence program, showcasing a different artist each month (July features Sharon A. Stone’s nature-inspired works). 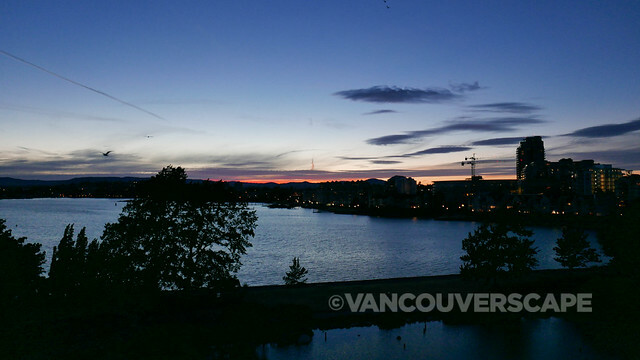 It’s easy to understand why Condé Nast Traveler voted Inn at Laurel Point one of Canada’s top 25 hotels. 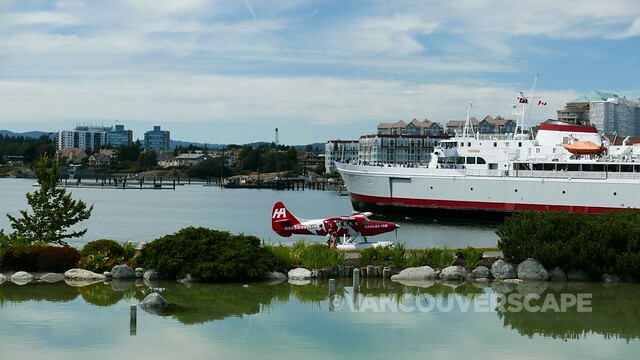 From my room inside the Erickson wing, I get to watch seaplanes, water taxis, whale-watching boats and ferries make their way along the water, far enough from the bustling downtown core yet close enough to walk to Bastion Square in about 20 minutes. The Laurel Wing’s 135 rooms are traditional, standard-sized spaces contained in the original part of the hotel with soft wood accents and Juliette balconies. 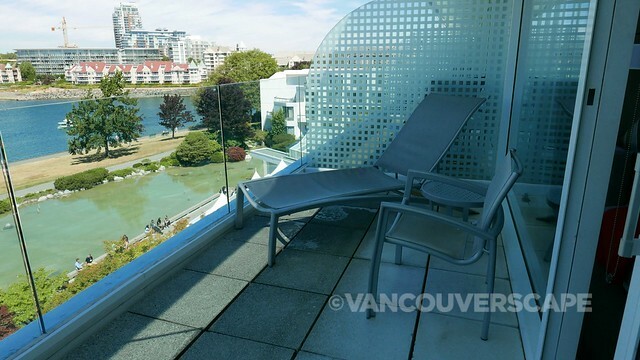 The newer Arthur Erickson Wing is the more luxurious of the two, designed by none other than Arthur Erickson, each of the 65 suites featuring private balconies with harbour front views. 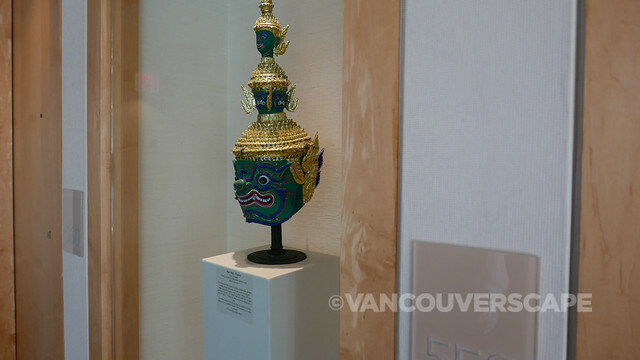 The entire hotel contains gorgeous Asian sculptures in glass in its hallways and lobby. Entering the room off to the right are shoji-style screens leading into the bathroom, with marble-top counters and dual sinks, a shower stall and separate soaker tub. 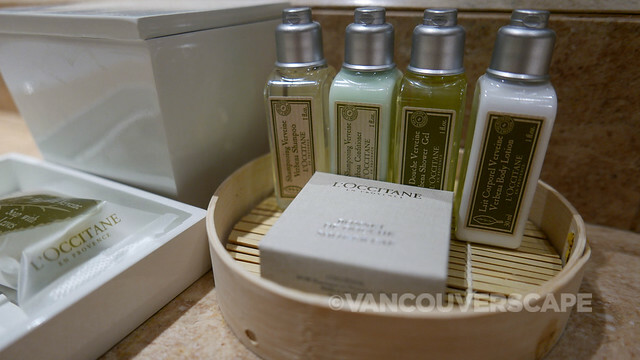 The hotel uses luxury amenity line L’Occitane en Provence. Bedding is super soft with a custom-made throw on top. 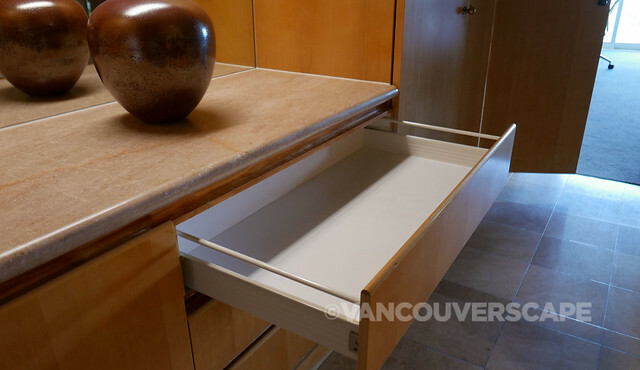 What I immediately notice this room has is lots of storage space. 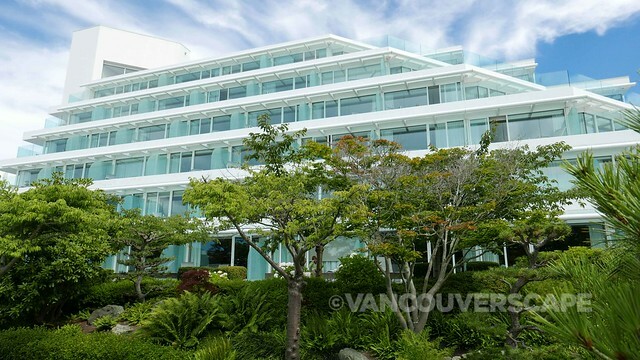 The light walls and floor-to-ceiling windows bring in a lot of natural daylight. 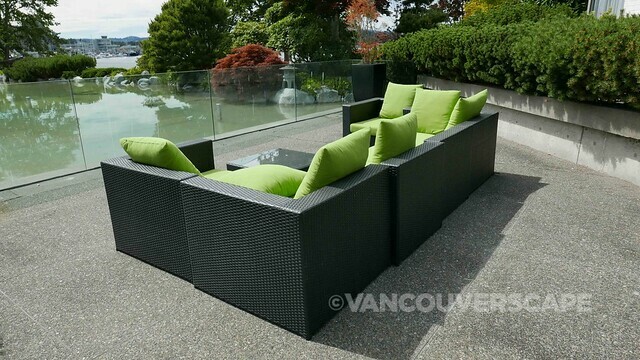 Outside, the glass-enclosed balcony contains a tiny table, chair and chaise lounge for ultimate relaxation while inside the room, there’s a spacious desk with ergonomic work chair, settee with blanket, side table and lamp plus a leather seat with footrest by the bed. 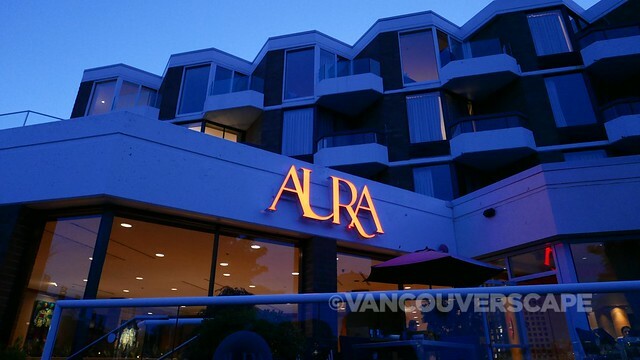 AURA Restaurant has won numerous awards from one of Canada’s Top 10 new Restaurants when it opened in 2008 to OpenTable’s Diner’s Choice Award in 2016. 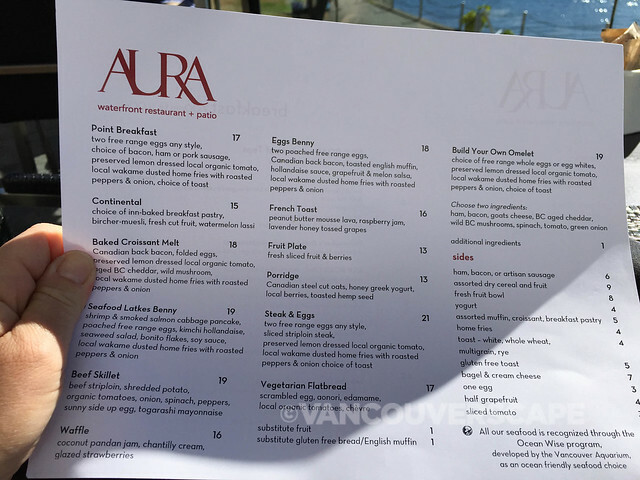 AURA has been an Ocean Wise-sanctioned restaurant for years, choosing to serve only ethically-harvested seafood. 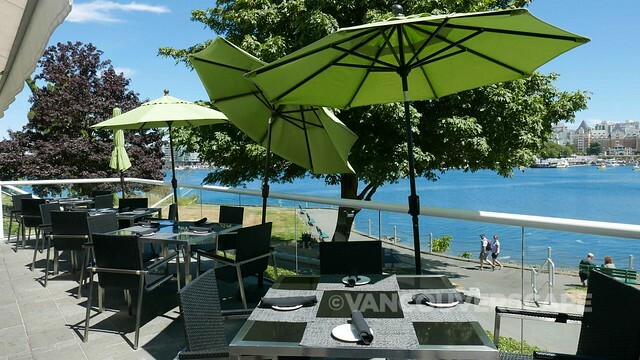 I had a couple of fine breakfasts here during my stay, making use of the great weather to enjoy meals on the patio. 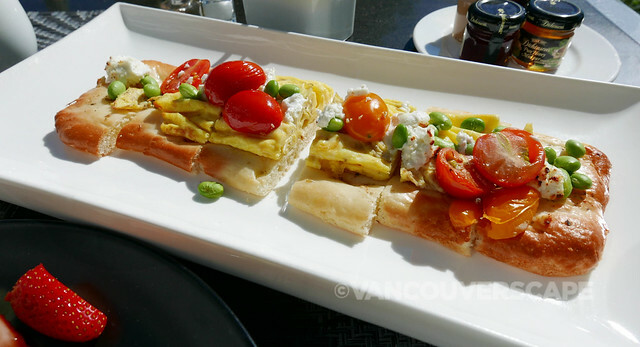 Highly recommended is the vegetarian flatbread, nice and light, seasoned with aonori and topped with scrambled eggs, edamame, local organic tomatoes and chèvre. Delightful! The AURA team includes Executive Chef Takashi Ito, Chef Manpreet Sethi and Pastry Chef Kimberley Vy, all of whom incorporate seasonal, locally-sourced ingredients throughout their dishes. The restaurant has floor-to-ceiling windows to take advantage of those stellar water views, with leather couches and warm earth tones throughout. While parking is $17 per day (including valet service), free high-speed wifi is complimentary. 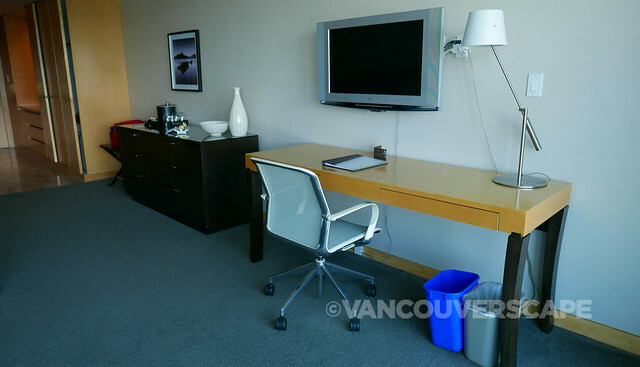 A business center on the lobby level has printers and computers available for a nominal fee (boarding pass printing is complimentary for guests). 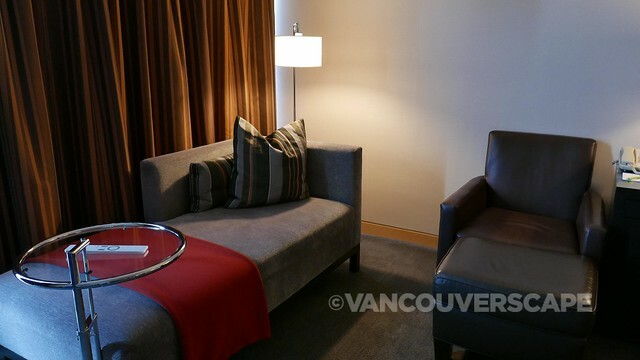 The hotel is designed to give those with special needs unassisted access to elevators, AURA Restaurant, guest rooms, telephones, conference areas, hotel services and curbs. There are currently two special needs-equipped guest rooms on property. 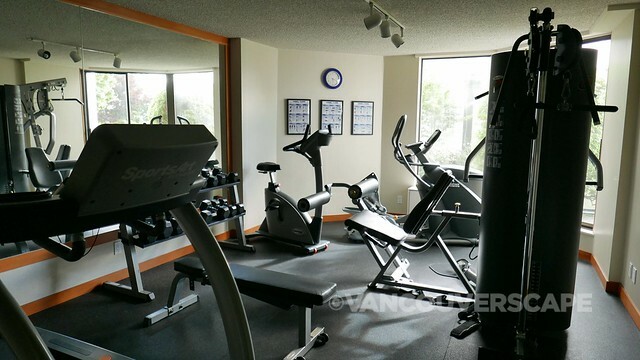 On the first floor is where you’ll find an indoor pool and 24-hour fitness studio. 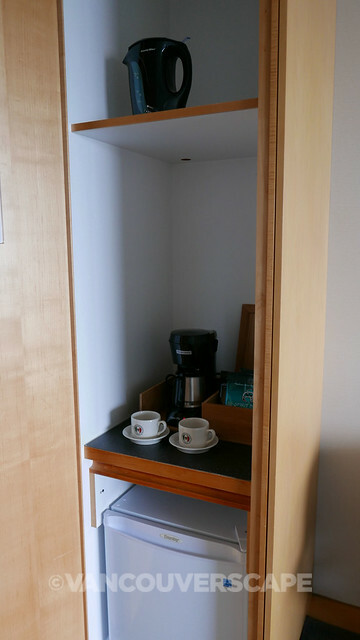 The hotel’s Live-Inn Room is a guest hub with lounge seating, free coffee and tea, daily newspapers and magazines, wifi and TV. If you’re in need of pampering, consider the hotel’s in-room spa treatments including Swedish, sports and couples massages plus reflexology, facials, manis and pedis to recharge for a night on the town. For guests travelling with pets, Inn at Laurel Point can create a customized program to make your pet feel welcome (additional fee applies) with cozy fleece sleeping mat, house-made treats, stainless steel dishes, biodegradable bags and a dog walking map. 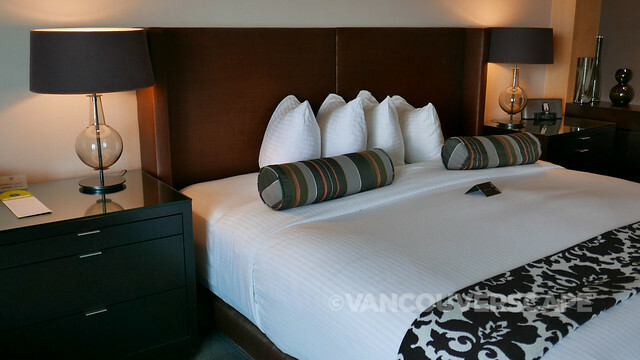 Inn at Laurel Point is BC’s first carbon-neutral hotel and has partnered with Vancouver-based Offsetters Climate Solutions to create a socially and environmentally responsible property. 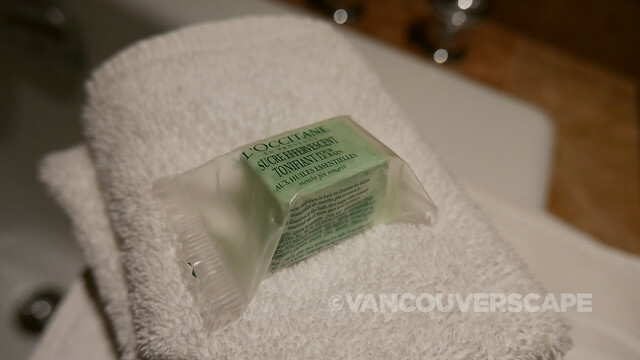 In addition, the Inn supports initiatives such as Habitat for Humanity Victoria, the United Way, OceanWise, Disaster Aid Canada and the Canadian Cancer Society. 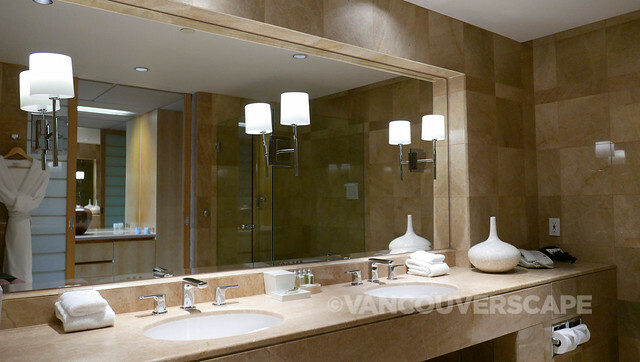 Being founding members of the Victoria Sustainable Tourism Alliance (ViSTA), the Inn keeps on top of environmentally-friendly trends. 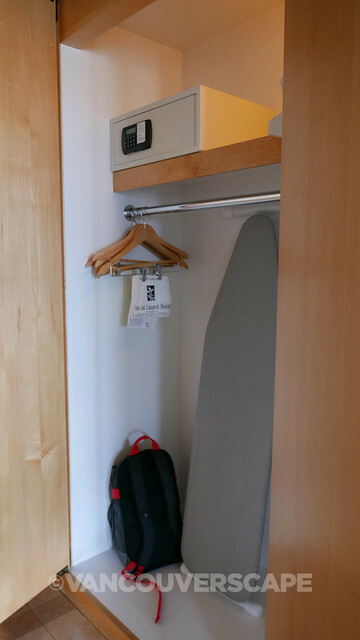 Guests can charge e-vehicles (Tesla, Leaf) onsite via the Juice Box. The measures taken by staff and management to reduce their footprint on the planet have earned the hotel a Five Green Keys certification as of this year. The Inn at Laurel Point can make use of its fantastic harbour-front backdrop to customize a wedding in style. 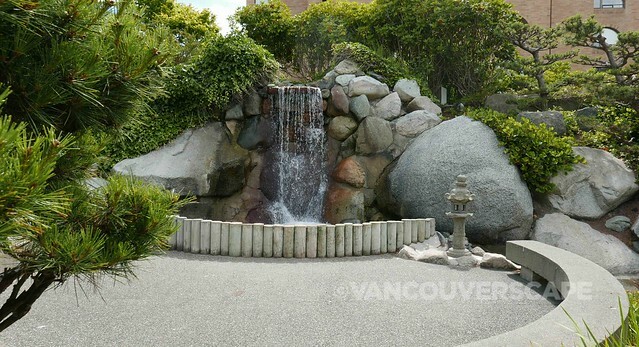 That beautiful Japanese garden with waterfall and harbour view is ideal for wedding parties of all sizes, due to the hotel’s 10,000 feet of additional meeting space with rooms that can be adjoined for banquets and receptions for up to 300 guests. And speaking of weddings, during my stay I learned that Managing Director Ian Powell moonlights as a priest in the Anglican Church of Canada at Victoria’s Christ Church Cathedral. Aside from his hotel responsibilities, he conducts Thursday and Sunday services at the church. Hotel staff are very knowledge about the Victoria dining scene and will point out numerous spots in the city based on your dining mood. 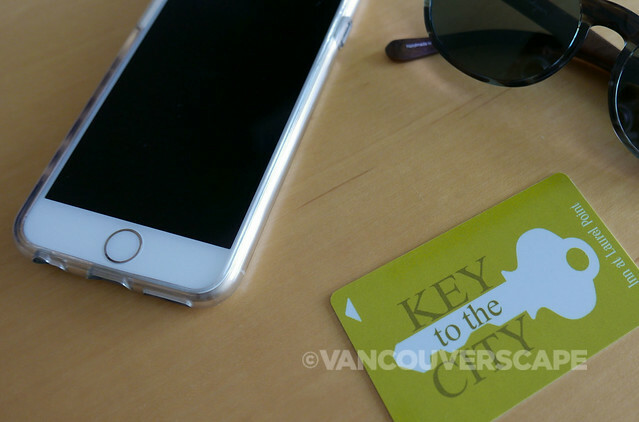 Additionally, the hotel’s Key to the City summer promotion offers discounts at several restaurants, Off the Eaten Track food tour, Ocean River Sports adventure tours and other points of interest. 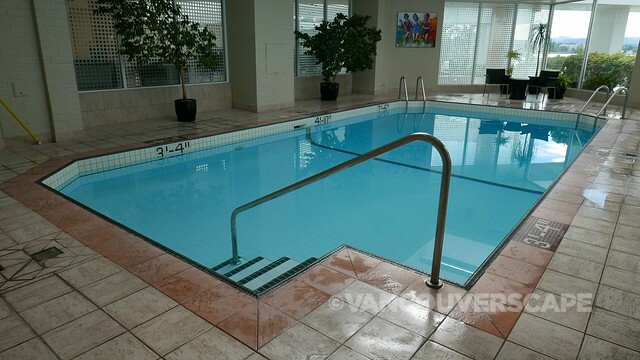 The Inn at Laurel Point is located at 680 Montreal Street in Victoria, BC. My stay was compliments of Inn at Laurel Point. Opinions, as always, are my own.